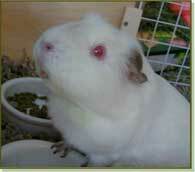 Check out the available guinea pigs we have on our Petfinder site. There is an adoption application, adoption fee, and contract required. The adoption fee helps to cover feeding, bedding and medical care of the Guinea Pigs in the rescue. Please contact us for more information. If there is someone specific that you would like to see please contact us at info@crittercorral.org.